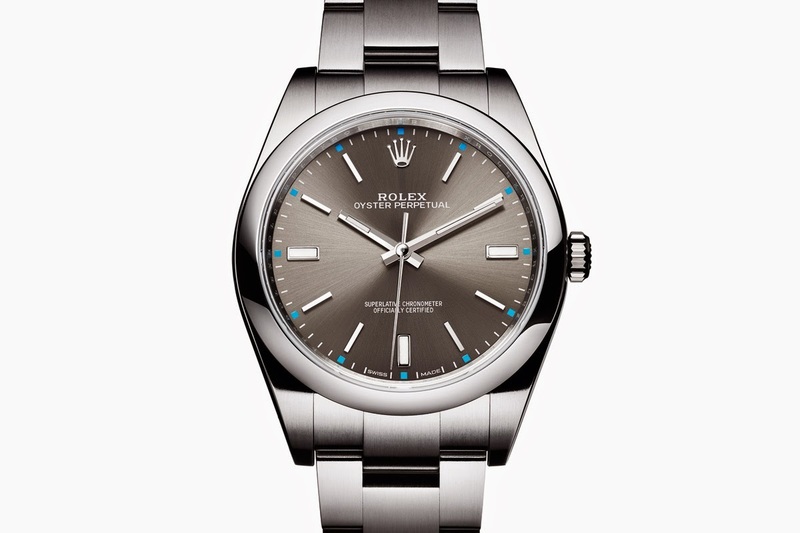 The direct descendant of the original Oyster model launched in 1926 as the first waterproof wristwatch in the world, the Oyster Perpetual is the simplest yet purest timepiece produced by Rolex. 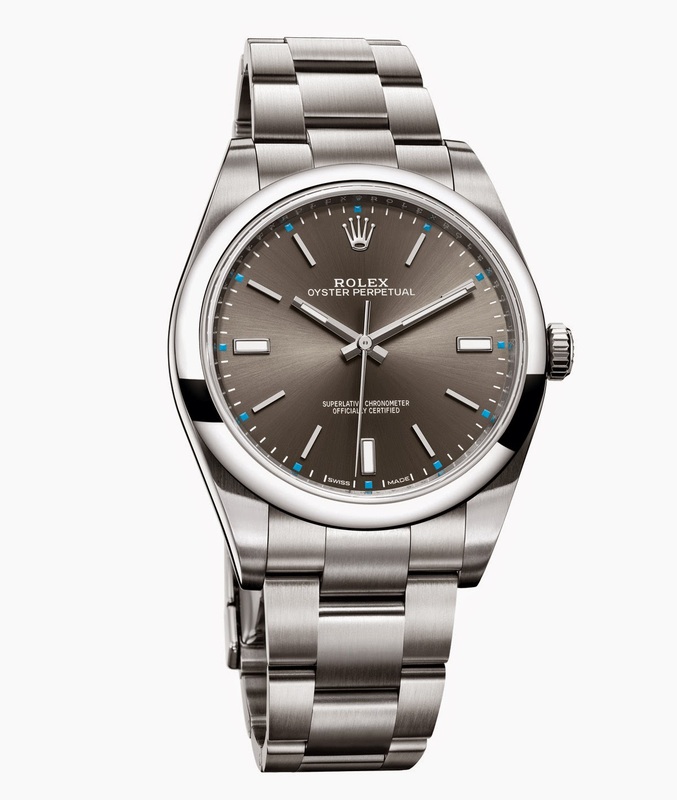 At Baselworld 2015, Rolex presented new versions of the Oyster Perpetual introducing a new 39 mm size with a dark rhodium dial as well as new dials for the 26, 31 and 34 mm sizes with colours like olive green, red grape, and champagne. Considering the 31 and 36 mm models unveiled last year, the Rolex Oyster Perpetual line now includes models in five different diameters - 26, 31, 34, 36 and 39 mm - thus offering the right size for any wrist. The new eye-catching dials are framed by the iconic Oyster case, waterproof to a depth of 100 metres / 330 feet with its middle case crafted from a solid block of corrosion-resistant 904L steel. The fluted case back is hermetically screwed down with a special tool that allows only Rolex watchmakers to access the movement. The screwed down winding crown is fitted with the Twinlock double water-proofness system. 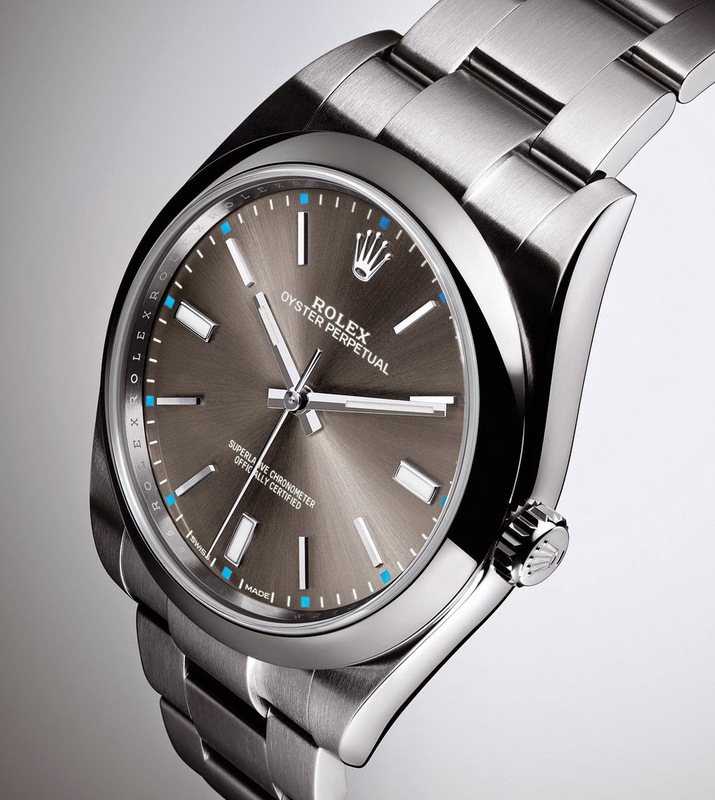 According to its size, the Oyster Perpetual is equipped with either calibre 3132 (39 mm version), 3130 (36 and 34 mm versions), or 2231 (31 and 26 mm versions), three self-winding mechanical movements entirely developed and manufactured by Rolex and certified as Swiss chronometers having passed the Swiss Official Chronometer Testing Institute (COSC) tests. 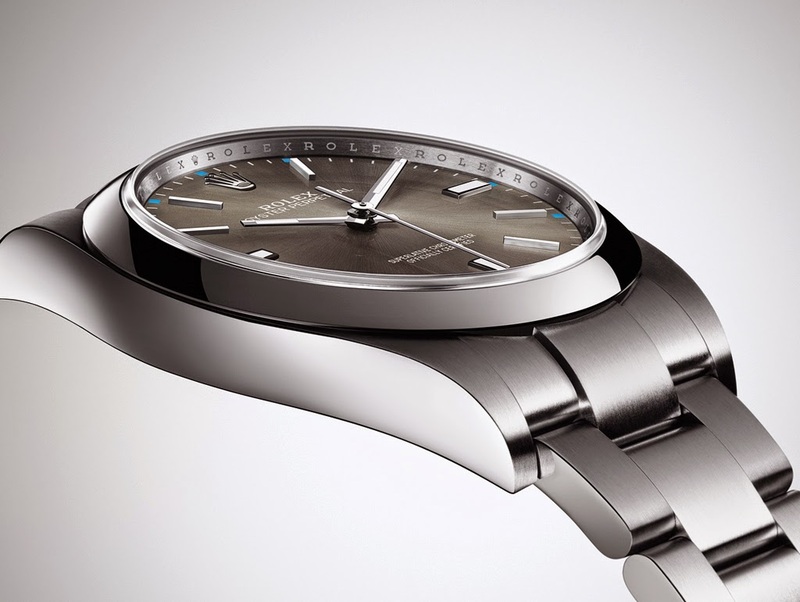 Basel 2015: Rolex Oyster Perpetual 2015 new models. 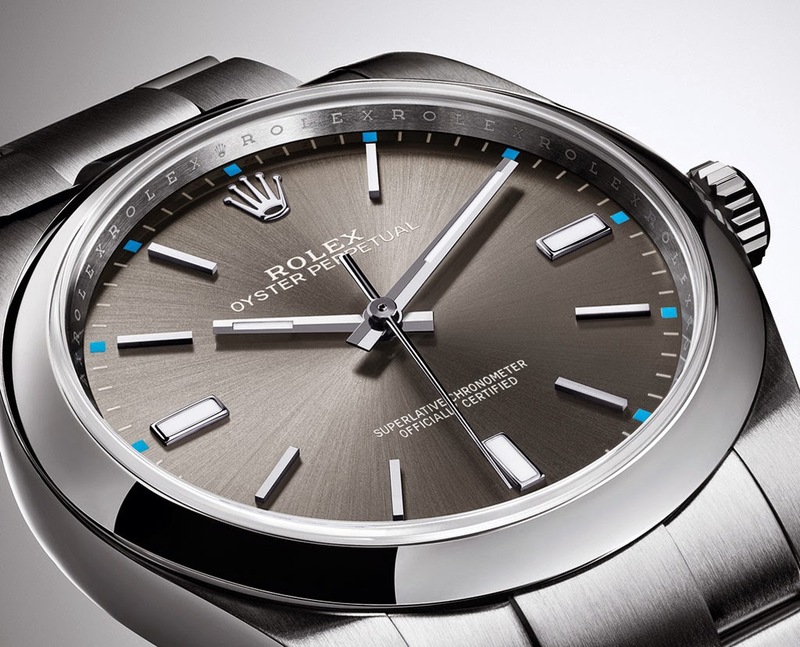 The direct descendant of the original Oyster model launched in 1926 as the first waterproof wristwatch in the world, the Oyster Perpetual is the simplest yet purest timepiece produced by Rolex. 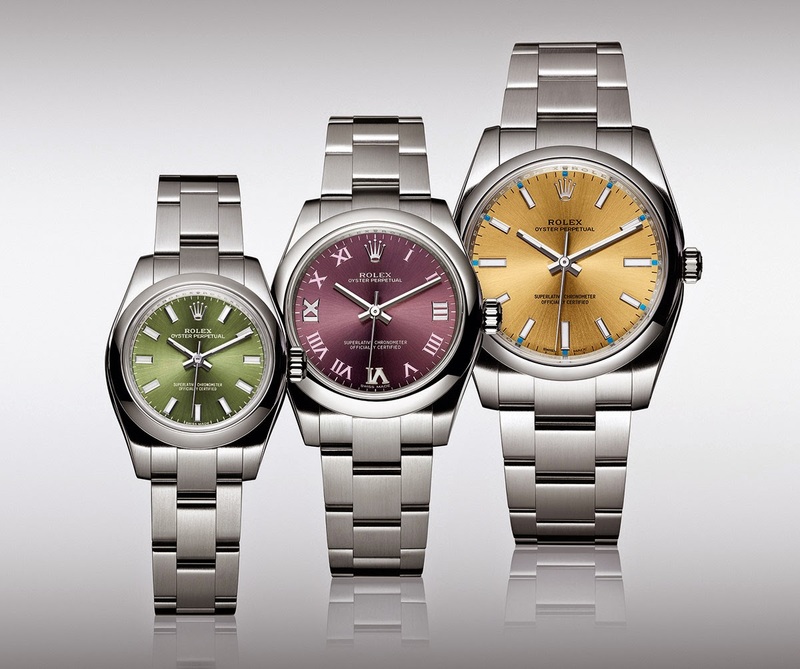 At Baselworld 2015, Rolex presented new versions of the Oyster Perpetual introducing a new 39 mm size with a dark rhodium dial as well as new dials for the 26, 31 and 34 mm sizes with colours like olive green, red grape, and champagne.